(L-R, seated) Olayinka Jacobs Bonnick, Country Director, British Council Jamaica; Diane Edwards, President of JAMPRO and Analisa Chapman, President of the Jamaica Film and Television Association (JAFTA) sign a Memorandum of Understanding (MOU) cementing their partnership for the film development programme - Film Lab. 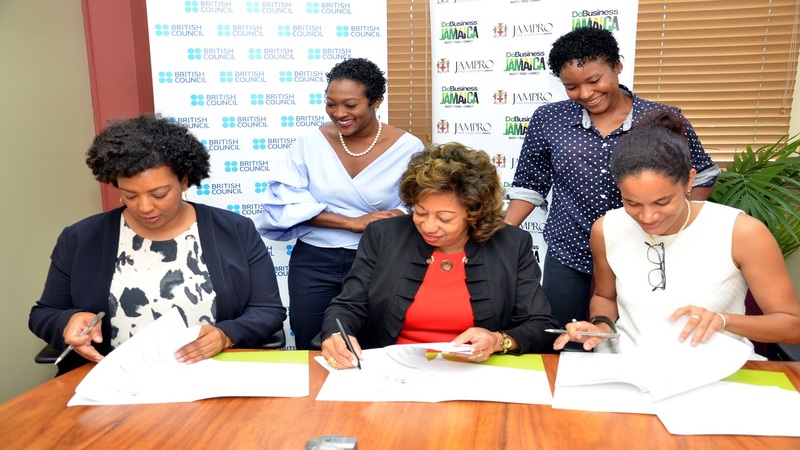 (L-R, standing) Renee Robinson, Film Commissioner,JAMPRO and Past JAFTA President, Gabrielle Blackwood view the signing. 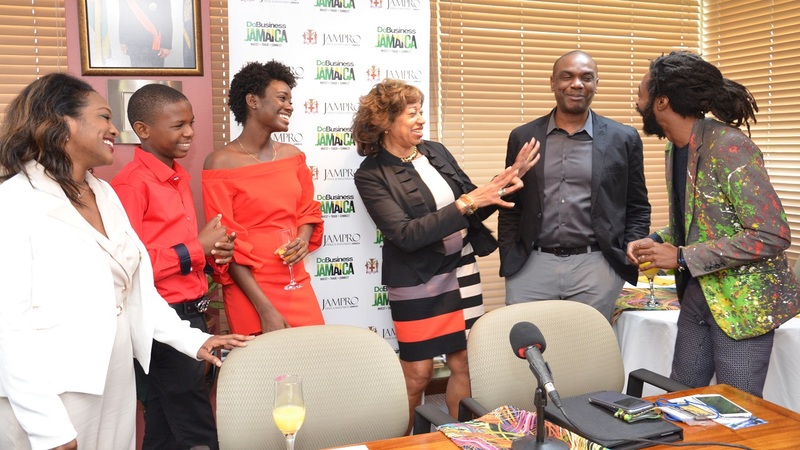 JAMPRO, The British Council, and The Jamaica Film and Television Association (JAFTA), will collaborate on a multi-year programme called the ‘Film Lab’ to develop and produce commercially-viable feature-length films that will be released at the end of the programme in 2021. 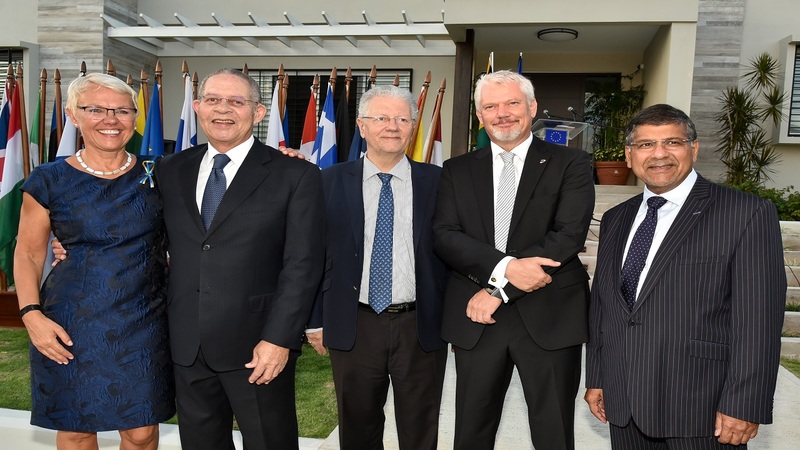 The project will include capacity-building in script development, financing, distribution, and in-market visits to build business relationships between the Jamaican and the UK film industries. 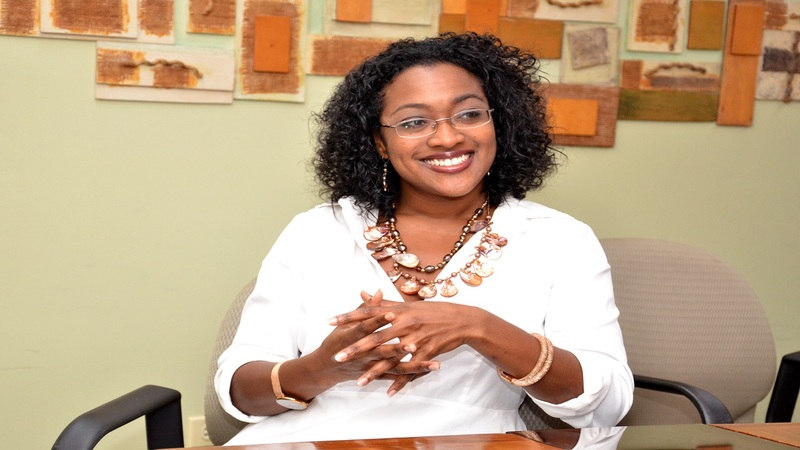 The Film Lab takes a holistic approach to developing Jamaica’s burgeoning film industry, beginning with capacity-building initiatives that will impact at least 30 participants - including writers, script editors, and producers. The final stage of the programme is the production of selected feature length films, and increased knowledge exchange through mentoring by local and international experts.